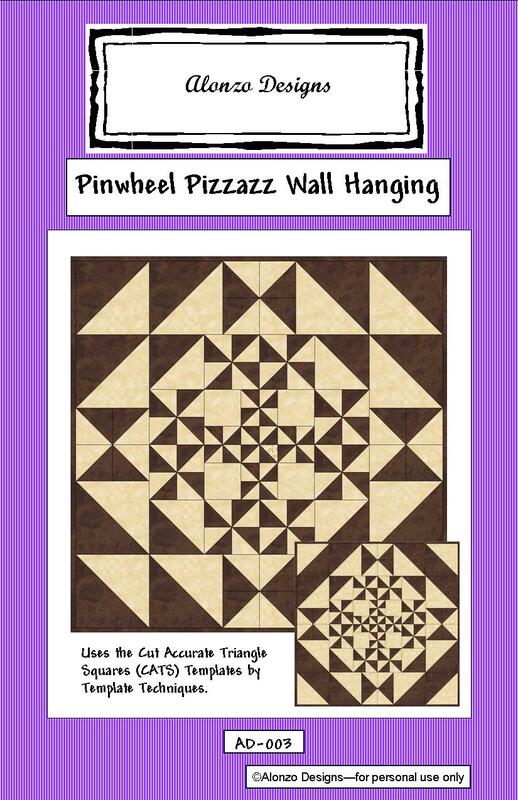 This wall hanging is made using the Cut Accurate Triangle Squares (CATS) Templates from Template Techniques. When using CATS, butted up against the seam means: no adding 7/8"; bias-seamed, straight grain edges; rotary cut, start to finish; no paper to tear. You will achieve feathered-star-quality accuracy. You can make two (2) different versions simply by turning the corner units.